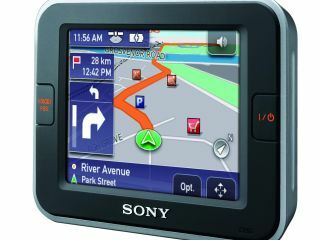 Sony has released details of its new Nav-U satellite navigation range , the NV-U82 and the NV-U92T. Despite a depth of just 20mm, both models feature a 4.8-inch touch screen that gives a clear display of route information. It's also designed to offer high contrast and a wide viewing angle for maximum visibility under all driving conditions. The new units also offer a linear display of route waypoints, fuel stations and other points of interest. Both also support Gesture Commands for even greater safety at the wheel. This means you can sketch a simple line or shape on screen with your fingertip and the NV-U82 and NV-U92T will guide you safely to frequent destinations - like 'home' or the 'nearest petrol station'. The NV-U82 is pre-loaded with country maps stored in its internal 512MB Flash memory. Targeted at international drivers, the NV-U92T is available with 2GB of Flash memory providing complete route coverage of Europe. The NV-U92T slao automatically monitors real-time broadcasts of Traffic Message Channel (TMC) information as an additional driving aid in the event of an on-road hold-up (optional in NV-U82). The NV-U82 and NV-U92T will be available throughout Europe from late spring 2007.